I am a great believer in small meals, low GI and having a healthy snack on hand for those emergency moments or just every mid morning and mid afternoon. Thank goodness for the French and their Nouvelle Cuisine and their entirely unattached, non emotionally hooked up way of looking at food. Food is their passion, but not the devil on their shoulder – big difference. It is an education to watch them eat and see how (sorry about the generalisations) they order, are revolted by too much on plate or an unattractive looking meal, eat sooooo slowly, love the company and all the big family and friends food outings, leave half of it on their plate and never worry that this is their last meal on earth. They know that soon they will be sitting down again to another small, delicious, beautiful meal washed down with a small glass of wonderful wine. 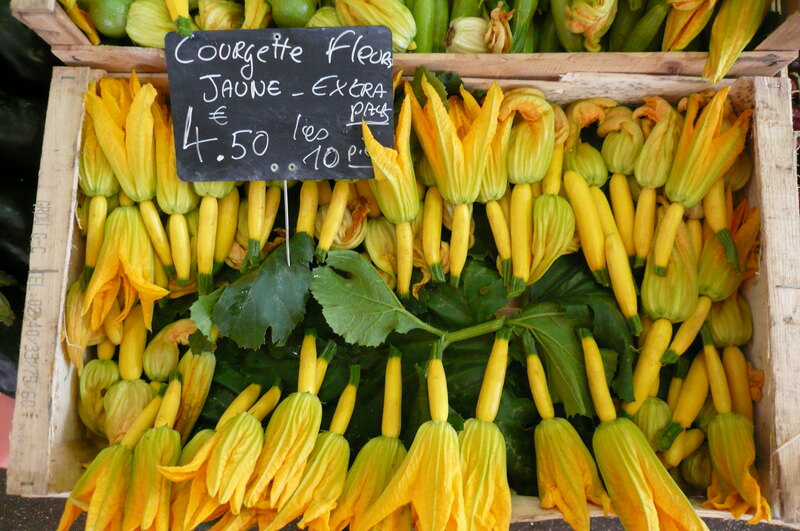 I spent time in the fresh markets and had never seen yellow courgettes before. Every fresh basket was a masterpiece of art. One of the bonuses of visiting Antibes in May was the opportunity to observe this healthy and normal relationship with food. The best bonus to me was that with this kind of mindfulness, I have lost 4kg (8.8lbs) weight myself since then and the food devil on my shoulder has gone into retirement. I have also always had my own story about having a biscuit mid afternoon. When I started in June, I had 3 plain ryevita which did the trick. Now that I am more sorted, I have something from the list above. There are so many great websites that help with low GI food choices, many of them from well known universities so do a search and inform yourself. I will lose weight this year! – Is this a New Year’s Resolution you have made for the past few years? How did it work out for you? Were you successful? Finding your motivation – your why being slimmer is important to you, will really help you make concrete plans to reach your goals. 1. Find your motivation and find support, be it a friend to exercise and compare menus with or a Health Coach to share the journey with you. 2. Drink more fresh water. Too often we drink our calories in sodas, alcohol and coffee. Adding more water ensures you are well hydrated and if you substitute water for high calorie drinks, it will reduce your daily calorie intake. 3. Get moving and increase your exercise. Vary the types of exercise you do to include strength training, flexibility enhancing exercises like Pilates and Yoga, walking, swimming and oh yes – choose exercises you enjoy. 4. Learn what low GI or low GL foods are and include them into your daily meals. 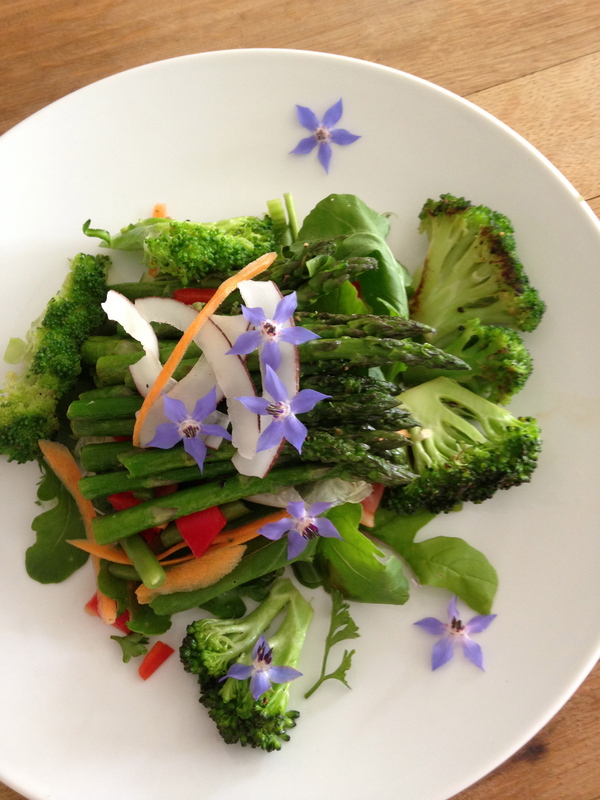 There are many benefits to adding more leafy green vegetables and colourful fruits to your diet. 5. Eat breakfast – it’s not called “The meal of champions” for nothing. People who eat breakfast are more successful at keeping weight off. 6. Plan for snacks during the day so you don’t binge like crazy if you are struggling with blood glucose levels. Have a fresh apple OR a pear on the ready. 7. Sleep – so often lack of sleep comes up in discussions when talking about loosing weight. There is growing evidence that not getting enough sleep may increase your appetite. 8. Choose to eat fresh, whole foods and be aware of your portion size. We are in a supersize society where bigger is better. 9. Choose to work on your relationships – within your family, with friends and in your social and work circles. 10. Give thanks and do your gratitudes. Daily and in writing in best, but however you can manage it is best for you.